by joining our singles tours! Finding someone whom you can cherish for the rest of your life is the best part of living; however, finding that someone who can reciprocate the affection you show may require efforts that are not easy. Due to that fact, our site has come to existence in order to lend a hand to all searching hearts when it comes to romance. In here, you will be able to date Odessa women seeking marriage to foreign men. You are greatly assured that these women are for keeps and are willing to settle down. You would be fortunate enough to find your match among these beautiful Odessa women. They are one of the most suitable brides across the globe. 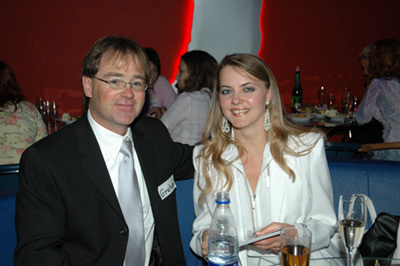 Don’t miss your bigtime chance of finding your significant other in the wonderful city of Odessa. Ukraine is not only well-known for its most famous food called borshch or its agricultural production of sunflower (mainly sunflower oil), but also for its beautiful and wife-material women. Odessa, tagged as the Pearl of the Black Sea, has become one of men’s destinations for they come rushing in there to find the love of their life. In recent years, Odessa, Ukraine has become more famous for its exceptional and great women. They have captured the hearts and minds of men around the world -- most of those men are from USA, Canada, Western Europe and Asia. Ukraine women, especially single Odessa girls, have become the country’s banner and pride. Provided below are some points of Odessa dating culture which will be a guide for you in meeting the woman of your dreams. Find out what it takes in dating Odessa women for marriage and broaden your romantic opportunities through this site. socials. Avail of our singles’ tours now! Before you plan to date Odessa women, being knowledgeable about their dating culture is a must. Every man has to be familiar with how one should woo women especially when aiming for serious relationship goals. For you to win an Odessa woman’s heart, you need to consider certain important matters, most especially those relating to the concepts of family and culture. Doing such will make the dating flow convenient and easy-going. 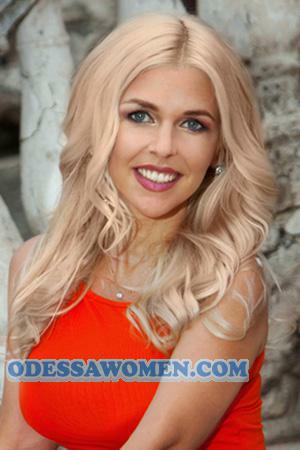 Odessa dating is quite different from typical dating styles and customs. In dating Odessan women, men dress to impress. Yes, it’s not only women who have to dress decently but men as well. You must wear something nice to accentuate the date romantically. Moreover, when it is your first time to meet her, take note that you ought NOT to kiss her on the cheek or even shake her hand. Your hands must only be over the bouquet of flowers and nowhere else; especially if you do not want to get yourself in trouble. Women in Ukraine are more traditional than other Western women, hence, you need to be careful around them. When you are on a date with a Ukrainian, be courteous in all time possible and pay attention to your date. You can give her gifts and compliments as well. Be a gentleman. Avoid talking too much about yourself; she will only think you are not interested with her or else too full of yourself. Never mention about monetary matters or any sexual subjects on your first date to avoid making things complicated. In Ukraine, talking about such is considered rude and disrespectful. You must treat ladies with respect. Dining etiquette and table manners should also be taken into consideration to avoid embarrassments or negative feedbacks from her. When in a restaurant with her, you can only begin eating your meal after she invites you to start. Your hands should also be visible on the table. Bear in mind that men often pay for the bills in Ukraine; this is a customary that you should not question and understand. More importantly, avoid drinking too much during the date. Drinking hard is a big issue in Ukraine, thus, never show her that you have alcohol problems. Nothing beats genuinity. Showing it to her must be above everything. Show her a token of appreciation, such as flowers and chocolates. You have to exert efforts in order to show her your sincerity. By doing such, you can easily capture her heart. Lack of ambition. Women in general hate men who do not have a good drive in life. Non-career driven people are exactly not their type. Why? This is because women would only think that they can not have a good future with men like that. Too chatty. Avoid being too chatty and talkative about yourself when dating an Odessa woman. It will only make her think you are not interested to know her well. You should also stop yourself from talking about financial matters or sexual subjects--these will only destroy the sweet dating moment both of you are building. Alcoholic. Being an alcoholic is a tremendous issue for every Ukrainian. When you are planning to date and settle with an Odessa woman, be ready to get rid of this habit for her. However, this does not mean that you will never drink again. You just have to know that there is a fine line between drinking and being a drunkard. Make sure you are open-minded enough to manage your actions in order to keep her. Doesn’t pay the bills on the first date. When you are on a date with an Odessan woman, make sure you pay the bill. Though many people would believe that gentlemanly behavior is no longer a trend nowadays, it is still conventional and even practical for men to show that kind of behavior, and manifest it through generous acts, such as paying the bill during the date. Through that, you can give your date a clue that you are indeed serious and sincere in your intentions toward her. Not into serious relationships. This is the top dating deal breaker for every relationship. If you are not dating to marry, then don’t bother making a woman fall in love with you. You would only break her heart. When the word ‘commitment’ for you does not lead into marriage, expect that you will get a big NO from her. Ukrainian women do not buy the idea of casual dating and fooling around; they prefer relationships which are genuine and are gearing toward a successful marriage. Park or Flower Garden. Most women in Ukraine like nature. When you are dating an Odessa woman, it would be a great idea to bring her to a city park or botanic garden. Just a stroll in there can help you tune in to a romantic mood. It will be a good start. The walk might be tiresome; however, you can always grab some coffee or sit and relax at the botanic garden while watching the sunset. Then, go and have some meal afterwards. That would be perfect! Restaurant. The most classic date idea is this one. In the case of Ukrainian people, they seldom eat out at fancy restaurants over dinner. It is best if you take her out to a not-so big restaurant with a cozy environment and good sense of music. In this sense, she will feel more comfortable and pleasant eating with you. Theater. Among any other places to go for an unforgettable date, this one is the best option. For single Odessa ladies, going to a theater is a perfect place for them to dress up and showcase their fashion styles. Hence, most of them would love it when you bring them there. Also, the atmosphere in theaters can set the best mood romantically; thus, buy tickets now and have a noteworthy experience. Dance class. This one is also considered a great choice. It can be waltz or tango. Even if you are not a good dancer yourself, both of you can take a dance class together to spend more time with her. With it, both of you can establish a special connection. Dating an Odessa woman will surely be an unforgettable experience you will ever have for yourself. Register now for free and see for yourself if your own date ideas are effective.